A combination of great attractions, brilliant participation by the public, and near perfect weather ensured that the 30thanniversary of the Astwood Bank Carnival was a great success. Saturday morning saw the arrival on the Carnival field at SE Davis of hundreds of participants getting ready for the procession around the streets. 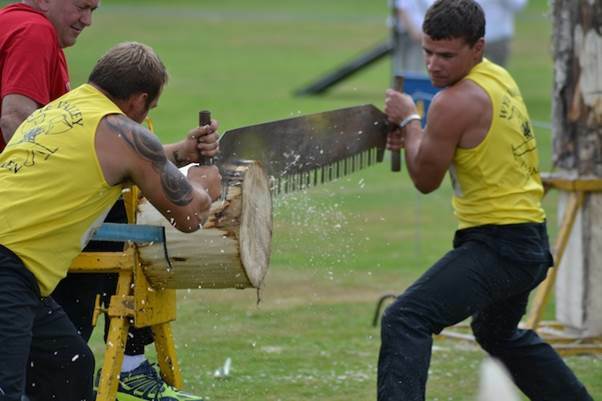 With the roads in Astwood Bank closing at midday arrivals at the Carnival field were coming thick and fast with over thirty stalls being erected, the fairground rides being set up, and the main arena attraction of the Wye Valley Axemen getting themselves ready. Not long after the procession had returned to the Carnival Field the crowds were thrilled by the flypast of an RAF Battle of Britain Memorial Flight Lancaster bomber, and then were kept entertained by everything from the fun dog show, to the air rifle shooting, to the acts in the two arenas. As ever the beer and tea tents were extremely popular on what was a perfect family day out for many.